Sometimes, a bad bite is the result of crooked or overcrowded teeth that only impact appearance. In other cases, a person’s bite can lead to jaw pain or headaches. A bad bite means that your upper and lower teeth don’t fit together properly. Consequently, you may move your jaw unnaturally in order to chew, which can lead to discomfort. 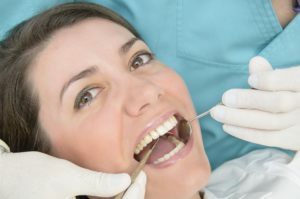 A dentist in Brandon serving Sioux Falls will assess your bite and develop a plan for adjustment, so your smile is straight and you are no longer in pain. Read on to learn about what your dentist may recommend. When you look at yourself in the mirror, what do you see – a flawless smile that will rival that of any celebrity or a mouth full of cracked, chipped, decayed, and discolored teeth? If your answer is the latter, it might be time to consider a full-mouth reconstruction plan. Using any combination of restorative, cosmetic, and orthodontic dentistry services, we can completely transform your flawed teeth into flawless smiles. If you have one or more missing teeth, then you know that the consequences can be more than just embarrassing—although that can have a serious impact on your work and social life. You may also notice that you have trouble eating some foods and saying certain words. In addition, tooth loss can lead to other oral health problems. Just one missing tooth increases your risk of additional tooth loss, as well as other problems including tooth decay and gum disease. For these and other reasons, tooth replacement is vital. At Wehrkamp Dentistry, your dentist in Brandon can eliminate the troubles associated with tooth loss and restore your smile with a fixed bridge. By combining false teeth with two dental crowns, Drs. Wehrkamp create a permanent solution.